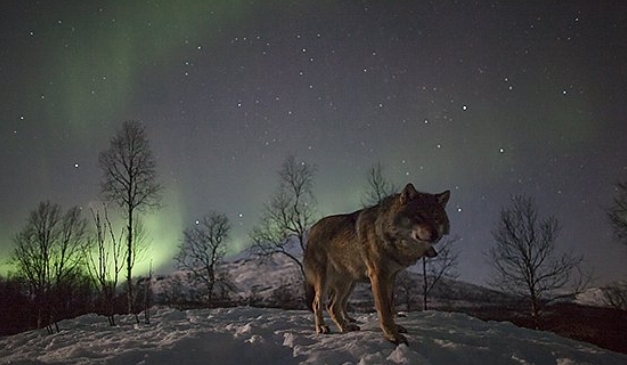 Norway's Polar Park allows visitors to get up close and personal with majestic wolves. For their Howl Night, guests can spend the night amongst these mysterious animals as they howl beneath the moon (and even the Northern Lights). 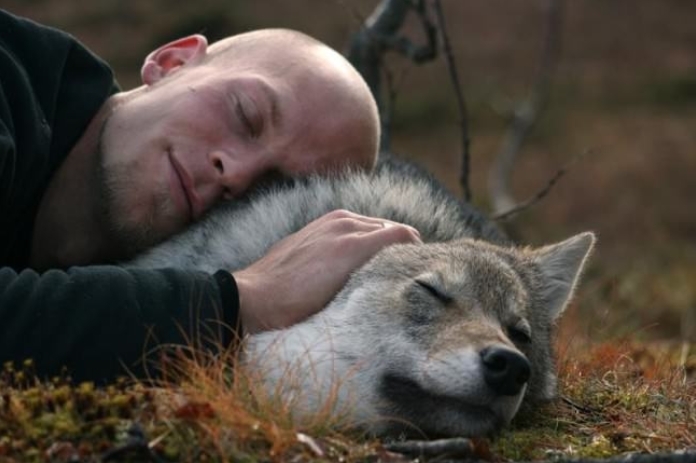 People can observe the wolves' habits, cuddle with them, and see them as they've never seen them before—all in a safe environment and without fear. 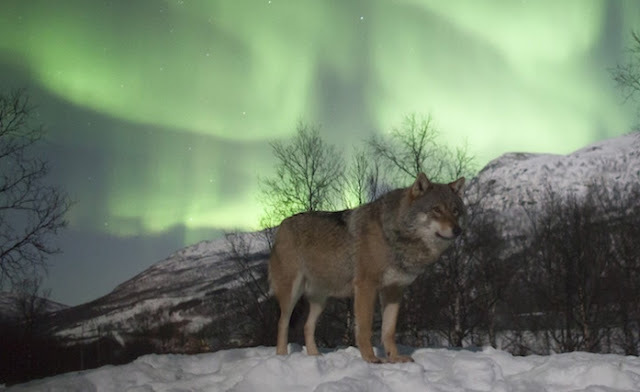 In Norway we find wolves mainly in the southeastern part of the country near the border with Sweden. However, individual animals roam very far and can in principle appear anywhere in the country. The species status is as critically endangered on the Norwegian Red List of species 2010. 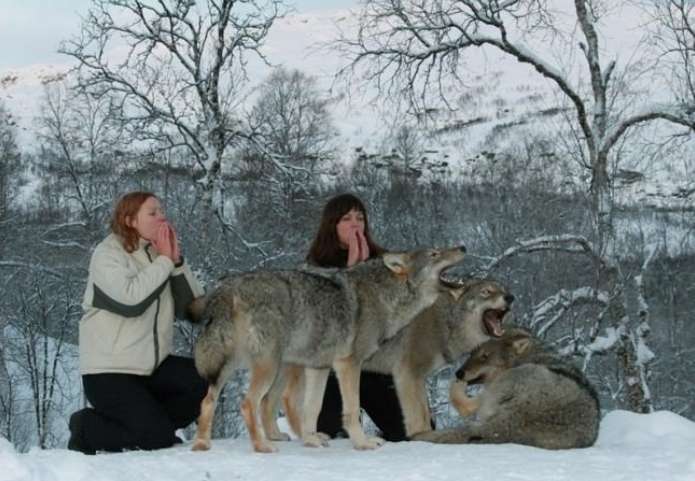 Responses to "Norwegian Park Allows Visitors to Play with Wolves Under the Northern Lights"
This is awesome! They are so beautiful! Love to hear them howling at the moon. My aunt and uncle had some on there property out in western Kansas when I was growing up. Beautiful photos! What a wonderful experience it would be to visit and interact with the wolves. Im from califorina Im first Nation ,Native American and i have lived with wolves most of my life and raised 5 children and many of my 12 grandchildren with them. This is a beatiful program wish we had more like them in the US . Unfortunately wolves are still shot everyday by ignorant people who are scared or just for sport in the US .keep up the goodwork wish there were more people like you.